Home > Greeting Card Boxes > 8" x 8" Greeting Card Boxes. 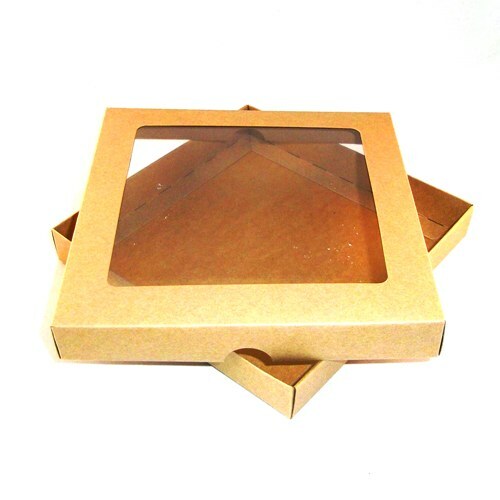 These 8x8 Boxes are made for the card making industry, they are self closing so you don't need tape or glue. If you have an 8x8 card this will fit into an 8x8 box with a little extra room for tissue paper and packaging. You get the top and base for this price. This box is approx 22mm deep so you can send it cheap with royal mail large letter. These boxes are sent flat packed so you will need to make them up when they arrive to save you high postage costs. To make them up just fold along the crease marks in the card. Base Measures, 210mm x 210mm. Lid Measures, 214mm x 214mm.